Believed that there were three or four people in the minibus at the time but they all managed to escape the vehicle. 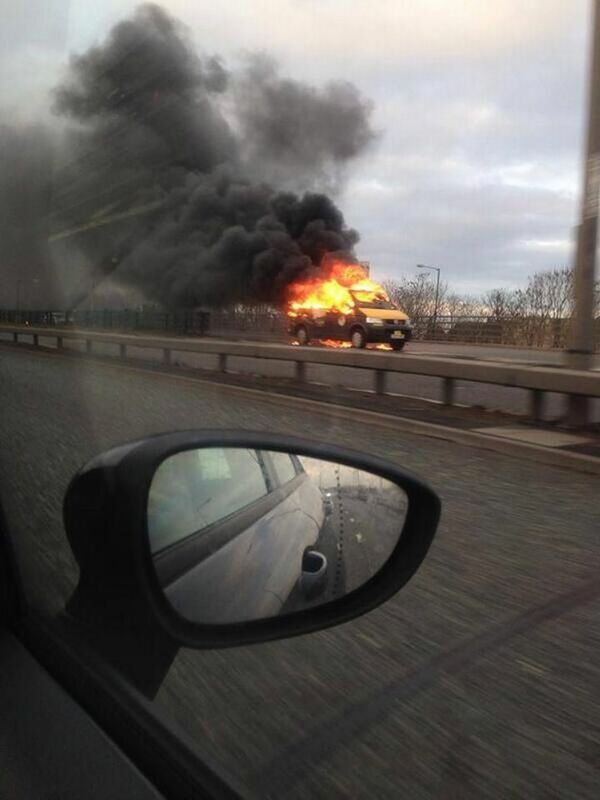 The A19 Tees flyover was briefly closed in both directions after a mini bus caught fire. A Cleveland Police spokeswoman said police were alerted to the blaze on the southbound section of the road at 3.20pm. Both carriageways were closed as smoke was billowing onto the northbound section of the road. The A19 northbound was reopened at around 3:35pm and southbound at around 4:20pm once the vehicle was cleared. A Cleveland Police spokeswoman said it is believed that there were three or four people in the minibus at the time but they all managed to escape the vehicle. It is not believed that anyone was hurt in the incident.